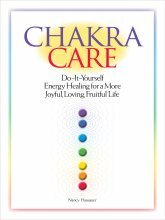 Over the years, I've learned or discovered a number of energy healing principles that are basic to my own work as an energy healer. Many if not most of them seem to be pretty widely shared with other healers as well. All healing is self-healing. The “healer” just supports, amplifies, and possibly accelerates an individual’s own processes. Healing is more than just making an immediate physical or psychological symptom go away. It's more than just "curing." Health can best be defined as an ongoing, holistic process of evolution toward wholeness, balance, and harmony. Your physical body is based on your energy and emanates from it, not the other way around. Illness starts with disturbances in the energy field. If we can catch it that stage, we can often prevent the illness from lodging in the physical body. The body is not a machine. The body’s processes are not at their core physical, mechanical, or chemical. A living being is a field of energy, consciousness, and intelligence, and is capable of amazing healing and renewal. Transformation is always accessible. Everything is connected. We are all part of a single energy field--a vast web of being. Separation from anything or anyone is basically an illusion. All aspects of a person are intimately connected, so the impact of a healing may show up in any aspect of a person--mind, body, emotions, or spirit. We are first and foremost energy beings (or spiritual beings, or light-beings, or cosmic beings). 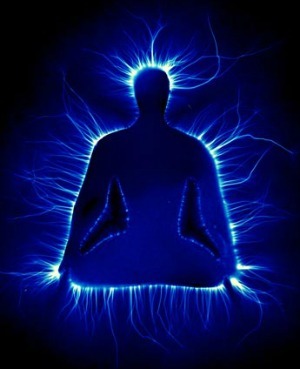 Each of us is an energy field, within a larger, universal energy field. We create, or at least heavily influence, our reality by where we place our attention. Therefore, it is important to place attention on health, not illness. Our particular reality—created at least in part by where we place our attention--can get ingrained or lodged in the dense energy of our bodies. Changing where we place our attention can significantly impact our health. Are there other principles that you base your work on? Let me know via Facebook Comments box below. Return from Energy Healing Principles To Energy Healing Basics.